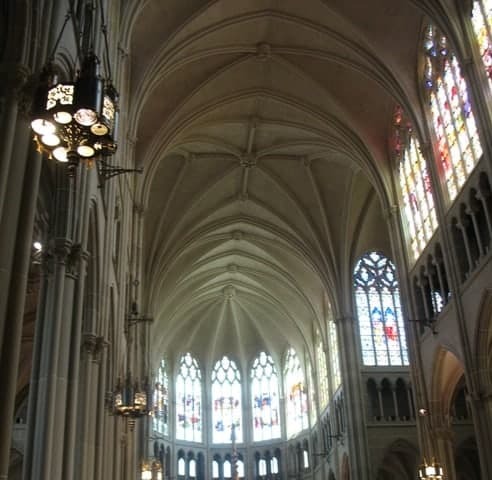 It’s Day 155 of “365 Things to do in Cincinnati” and today we headed just a bit south of the city to take in the incredible architectural beauty that is the Cathedral Basilica in Covington. 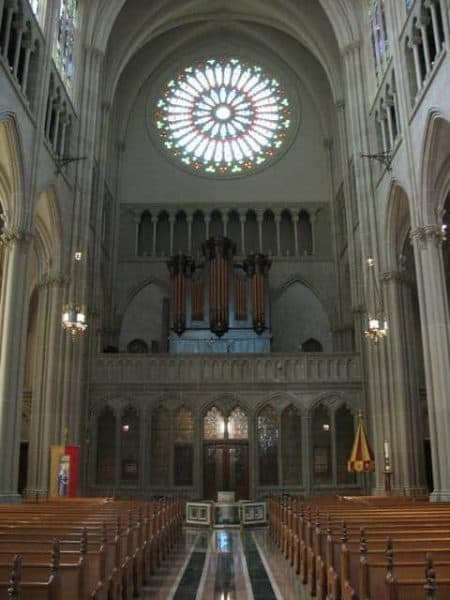 The Basilica, dedicated in 1901, was designed by two separate architects – one for the interior (architect Leon Coquard) and one for the facade (local architect David Davis). 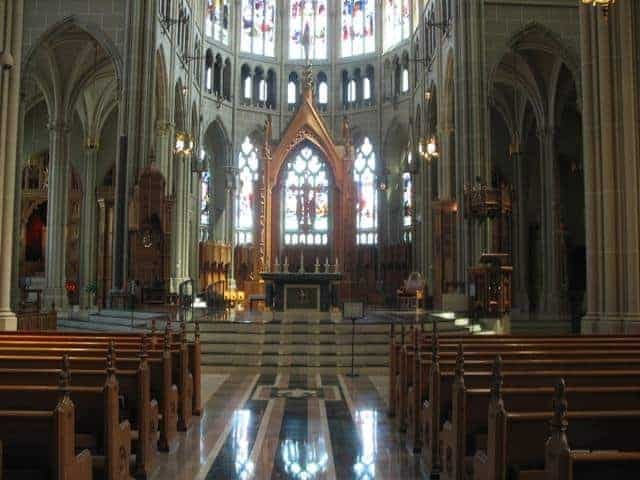 The interior of the church was modeled after the Abbey Church of St. Denis near Paris and the facade was modeled after Notre Dame . The Basilica’s walls are about 80% window. 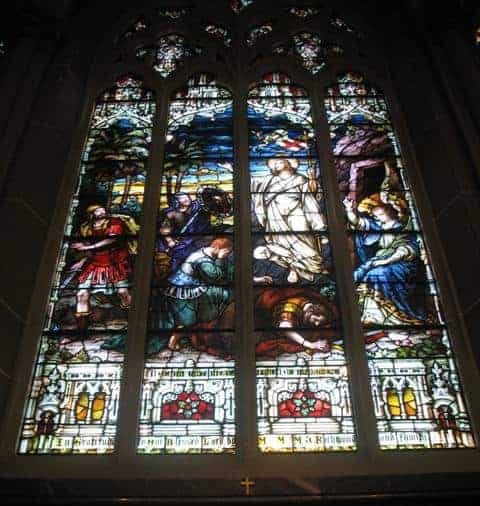 Here you will see some of the most intricate and beautiful pieces of stained glass that you’re likely to encounter anywhere in the area. The window that faces north stands 67 feet tall and spans 24 feet wide. 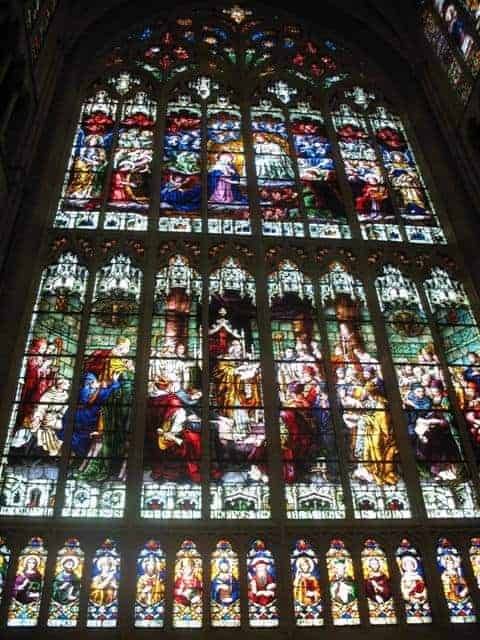 It held the title of being the largest stained glass piece in the world for many years. 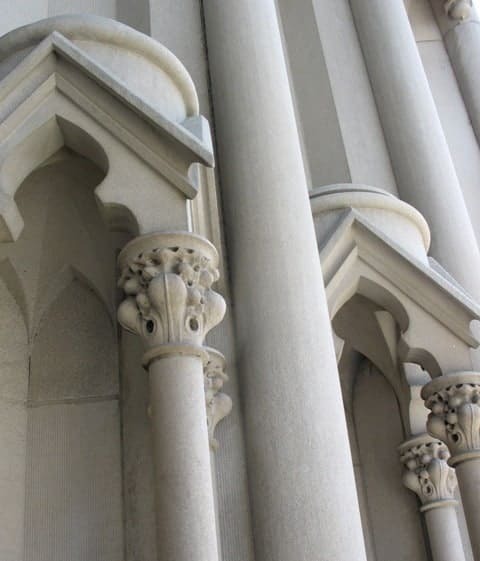 The architecture of the Basilica is Gothic in style. 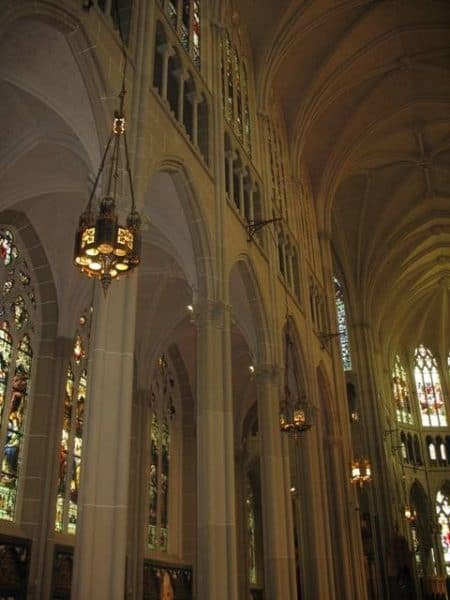 Inside you’ll see many pointed arches, huge ornate pillars and many large windows. It is truly an incredible site to see! The attention to detail is phenomenal. 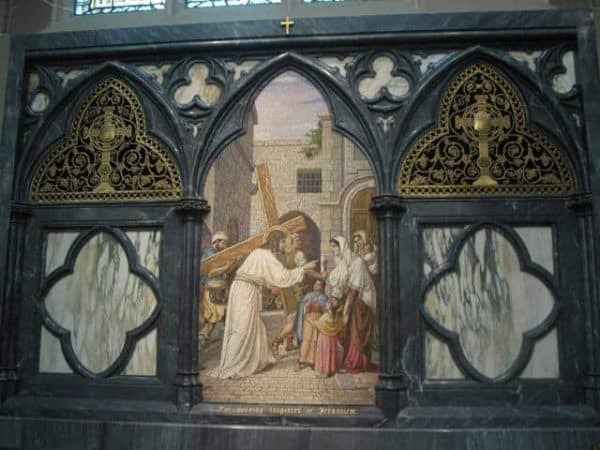 The Stations of the Cross that line the walls were created in Venice, Italy. Each station contains 70,000-80,000 porcelain ceramic tiles. Amazing! The Cathedral is 65 feet wide and the nave reaches up to 81 feet. And every square inch is covered in intricate detailed beauty. The Cathedral Basilica is open from 9:30-4pm Monday through Saturday (check their site for mass times). Self-guided tour programs are available in the church at the greeter’s desk. Docent-guided tours are available for groups of 10 or more. WANTED TO TELL THIS STORY FOR A LONG TIME. 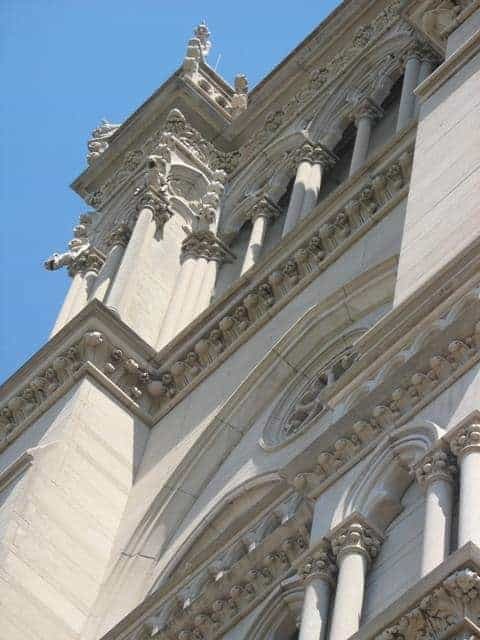 Do you know where someone could get photos of all the stations of the cross from the Cathedral Basilica of the Assumption in Covington?